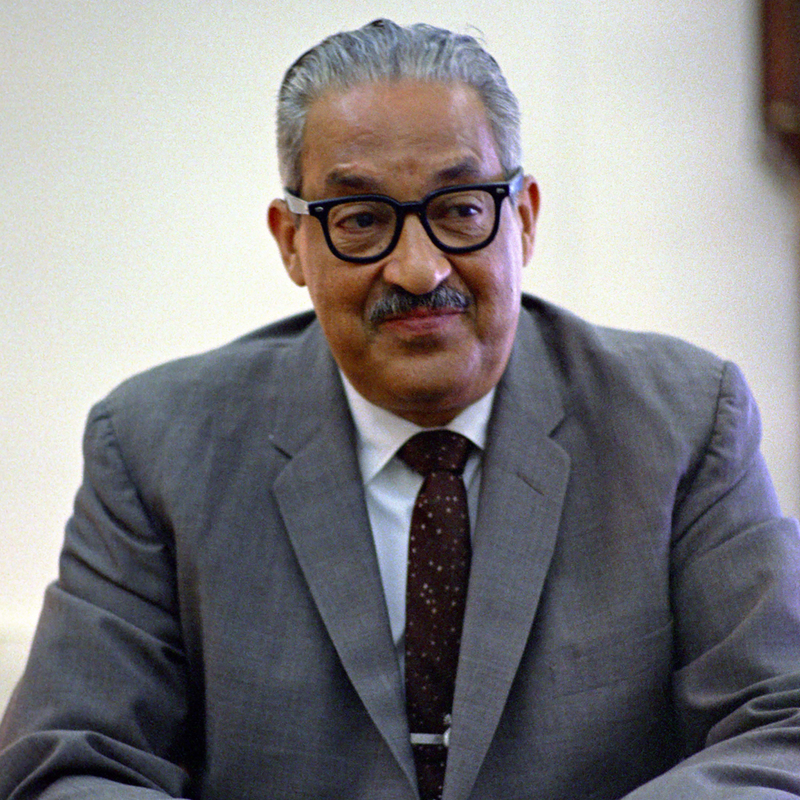 This year marks the 50th anniversary of Thurgood Marshall’s historic appointment to the U.S. Supreme Court. As the nation’s first African-American Justice, Marshall exemplified an unyielding commitment to the fight for equality for marginalized groups. Throughout his twenty-four year tenure on the Supreme Court, Marshall championed Civil Rights issues and made tremendous strides, combining legislation and political activism. Upon being denied entry to University of Maryland Law School due to his race, Marshall’s first-hand experience with racial discrimination prepared him for a life of dismantling injustice and intolerance. Of the 32 cases he argued before the Supreme Court, he prevailed in 29, which made him the most winningest Justice of all-time up to that point. Marshall appeared to always be on the right side of history as seen through his involvement as legal counsel for the NAACP and his impressive voting record in major cases. Marshall proudly sided with the victors in the famous Roe v. Wade case protecting women’s rights to abortion. Most notably, he spearheaded one of the most important cases of the 20th century, Brown v. Board of Education of Topeka. Marshall’s ingenious use of the U.S. Constitution to refute the “separate but equal” doctrine and undermine years of racial segregation cemented him as one of the nation’s greatest legal figures. It is truly unbelievable that 50 years have passed since Thurgood Marshall began his remarkable career as a Supreme Court Justice. Though his compassion for disenfranchised communities was unmatched by his peers, he fearlessly pressed forward without their support. The fact that none of his Supreme Court decisions have ever been overturned clearly reveals the permanent impression Marshall left on the legal field. The undeniable impact of his work on race relations in America solidifies his place among the most influential Civil Rights pioneers of our generation with the likes of Dr. Martin Luther King, Jr. and Malcolm X.